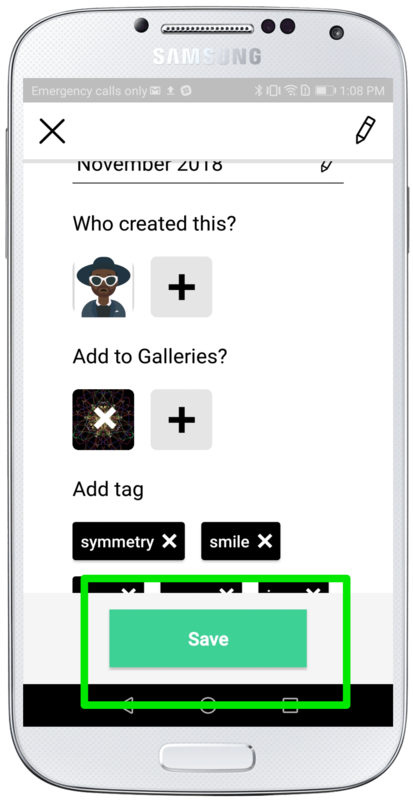 If you added a creation to a wrong gallery, do not worry. You can remove it from a gallery but keep it on your profile. If you delete the creation, it will be removed also from your profile along with the bubbles and comments, so please think twice before deleting! 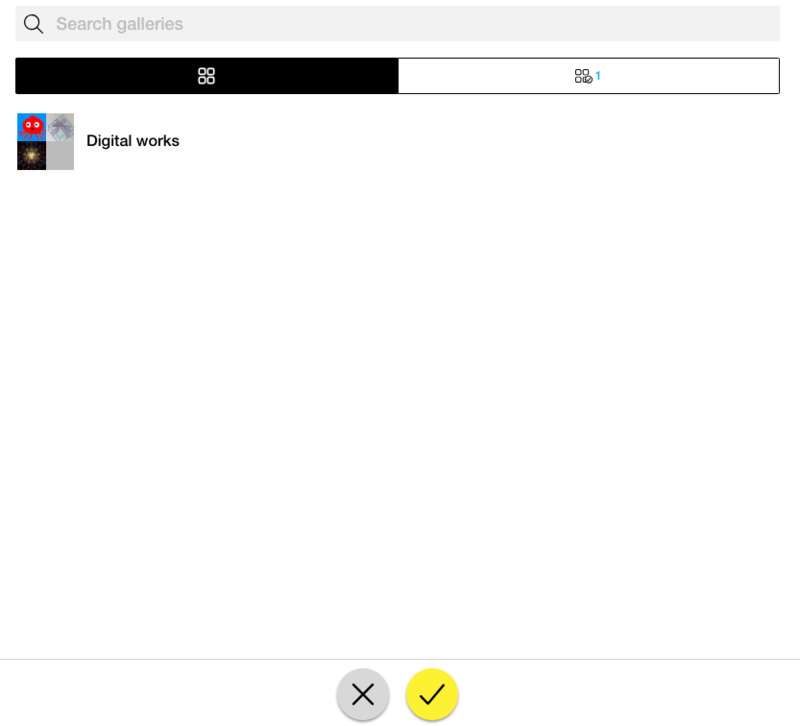 In this article, you will find the instructions on how to remove a creation from a certain gallery. *You can remove only your own creations or your managing creator's creations. 2. 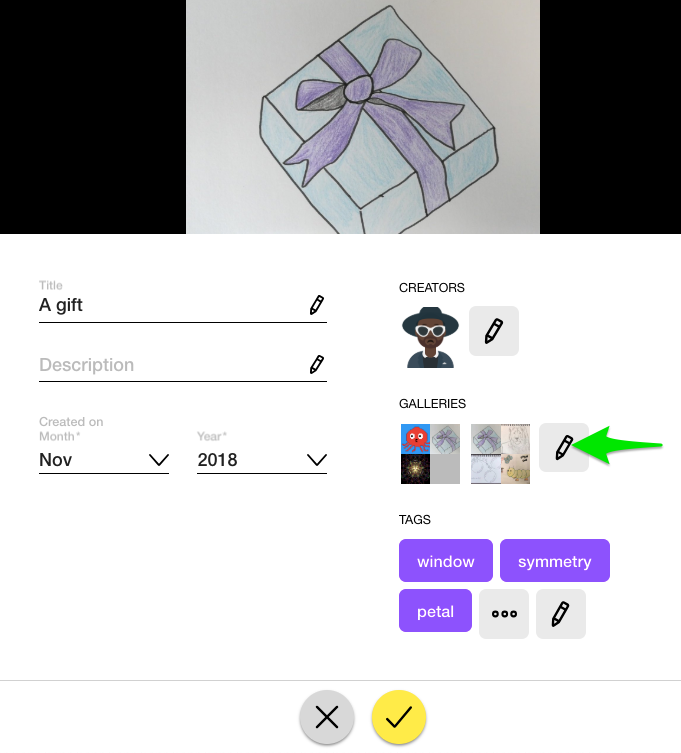 Scroll down to find "Add to Galleries?". Tap on the Gallery icon that you want to remove from. 3. The pop-up confirmation will appear. 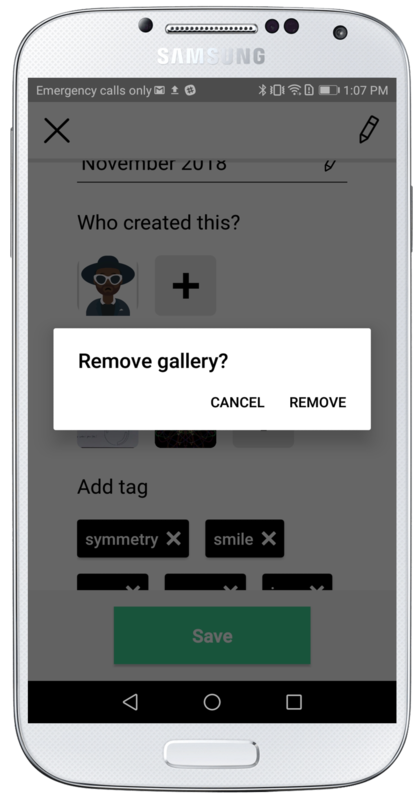 Select "REMOVE" to remove from the Gallery. 4. Make sure to "Save" to complete the change. 1. 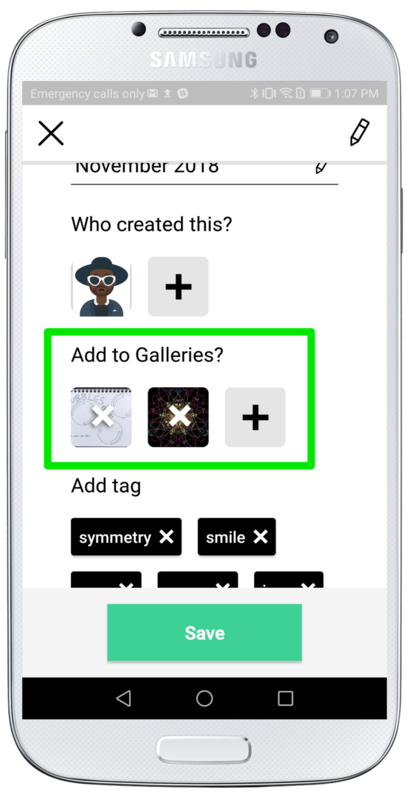 Open the creation that you want to remove from a Gallery and tap the edit icon. 2. Click the edit icon of the "GALLERIES"
3. 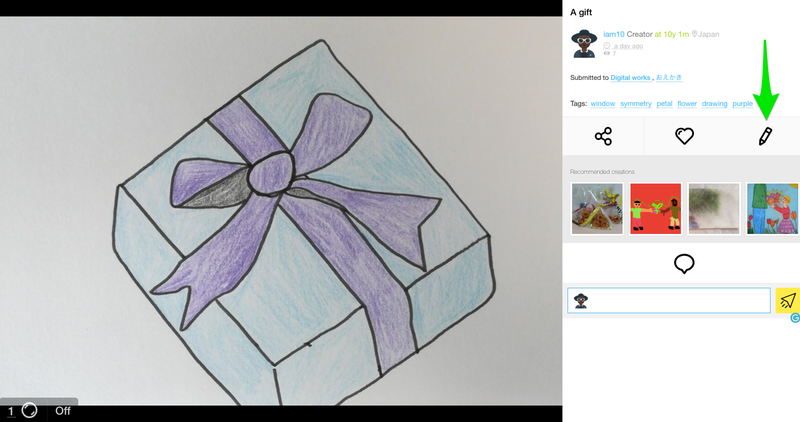 The Gallery or Galleries that the creation is submitted to will appear with blue highlight. 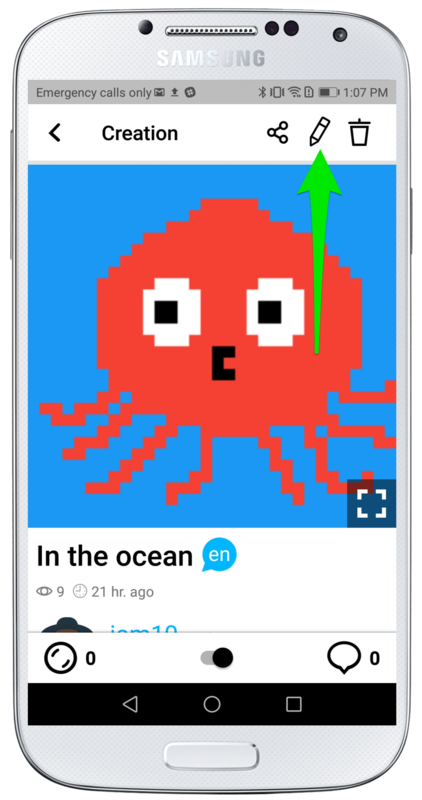 Click on the Gallery that you want to remove from to remove the blue highlight and click the yellow checkmark icon to save.